Radio One Seeks Power Increase for Baltimore's Magic 95.9, FCC Says "No"
The company wanted an increase in power for Magic 95.9 WWIN-FM from 3,000 watts to 6,000 watts to better serve the community. Radio One also asked to move the transmitter from Glen Burnie to Arbutus, Maryland because the move would serve more of the "Baltimore Urbanized Area." In other words, the station would have less static. However their 'Application for Minor Modification to Licensed Facility' has been dismissed. The FCC based their decision on complaints from four nearby radio stations in Washington, D.C., Williamsport, MD and Red Lion, PA. Howard University owned 96.3 WHUR and CBS Radio's Hip-Hop/Rhythmic station 95.5 WPGC both objected because of possible interference to their signals with the proposed power increase. Complaints also came from Cumulus Radio's WSOX, 96.1, in Red Lion PA and Prettyman Broadcasting's WICL, 95.9, serving Hagerstown, MD and Martinsburg, WV. 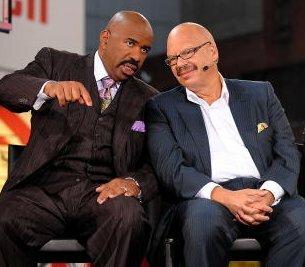 WHUR based in Washington, D.C. is home to the Steve Harvey Morning Show, while Tom Joyner is the morning host on Magic 95.5. With D.C. only being approximately 40 miles away, WHUR is Baltimore area listeners only access to the Steve Harvey Morning Show. A signal increase could definitely interfere with some fringe listeners in the Baltimore area. Here's the letter that landed on the desk of Radio One chairman Alfred Liggins and all others involved.